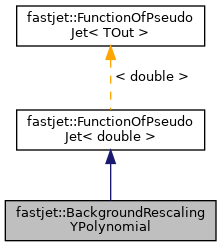 A background rescaling that is a simple polynomial in y. Definition at line 219 of file BackgroundEstimatorBase.hh. Definition at line 234 of file BackgroundEstimatorBase.hh.